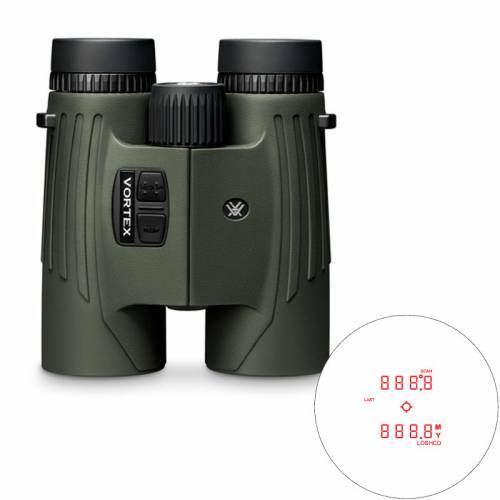 Two of the most important pieces of hunting gear combined into one powerful, long-ranging unit, Fury HD 5000 rangefinding binoculars make glassing and ranging ultra-fast and efficient. Right-side button controls make one-handed manipulation of both functions quick and easy, cutting down on set up time in the field. 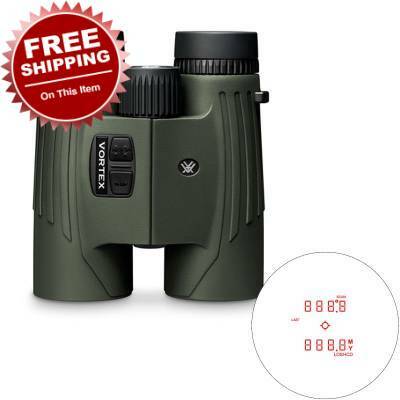 And don't forget—these Fury HD 5000 binoculars join all other Vortex® products in that they are completely covered by our unbeatable VIP Warranty, and that includes electronic components!